Published bi-annually, the Australasian Journal of Neuroscience, the official journal of the Australasian Neuroscience Nurses Association, contains original articles on advances in neurosurgical and neurological techniques as they affect nursing management, and commentary on the role of the neuroscience nurse in the health care team. The AJON is distributed to ANNA members and subscribers for a total circulation of over 400. The Journal is a reference by hospitals, libraries and universities for use and reuse by persons in all aspects of the health care profession. THE AUSTRALASIAN JOURNAL OF NEUROSCIENCE publishes original manuscripts on all aspects of neuroscience patient management, including nursing, medical and paramedical practice. 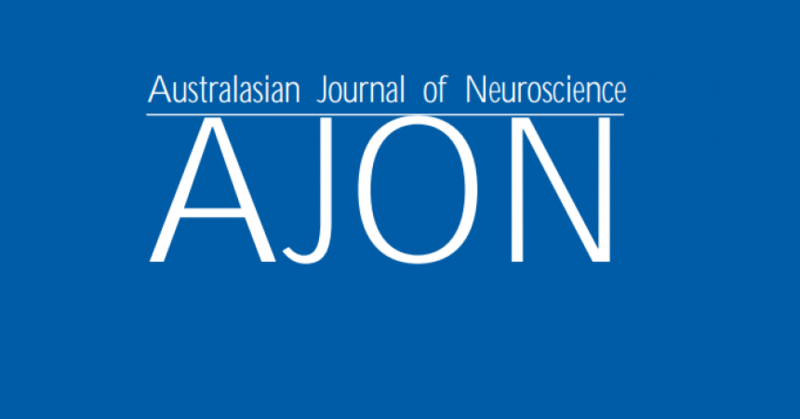 Manuscripts are accepted for exclusive publication in the Australasian Journal of Neuroscience. All manuscripts are subject to blind review by a minimum of two reviewers. Manuscripts are subject to editorial revision and the order of publications is at the discretion of the Editor. A letter of submission must accompany each manuscript stating that the material has not been previously published, nor simultaneously submitted to another publication and agreeing to the transfer of copyright to the Australasian Journal of Neuroscience. The letter of submission must be signed by all authors. A statement on the ethical aspects of any research must be included where relevant and the Editorial Board reserves the right to judge the appropriateness of such studies. All accepted manuscripts become copyright of the Australasian Journal of Neuroscience unless otherwise specifically agreed prior to publication. Rejected manuscripts are returned to the author. TITLE PAGE: Should include the title of the article; details of all authors: first name, middle initial, last name, qualifications, position, title, department name, institution: name, address, telephone numbers of corresponding author; and sources of support (e.g. funding, equipment supplied etc.). ABSTRACT: The first page of text should be the abstract. The abstract should be no longer than 250 words for an original paper, 100 words for a short report. KEY WORDS: 3 to 6 key words or short phrases should be provided that will assist in indexing the paper. The key words are listed below the abstract. TEXT: Recommended length is up to 10 to 12 pages (including figures, tables, illustrations) for an original paper and up to 4 to 6 pages (including figures, tables, illustrations) for a short report. Use of headings within the text may enhance the readability of the text. Abbreviations are only to be used after the term has been used in full with the abbreviation in parentheses. Generic names of drugs are to be used. REFERENCES: In the text, references should be cited by author’s name and year of publication in parentheses. For example (Lloyd, 2002). The reference list, which appears at the end of the manuscript, should list alphabetically all authors. References should be quoted in full or by use of abbreviations conforming to Index Medicus or Cumulative Index to Nursing and Allied Health Literature. The sequence for a standard journal article is: author(s), year, title, journal, volume, number, first and last page numbers. The sequence for a book is: author(s), year, title of book, edition number, place of publication, publisher, first and last pages of reference. The sequence for an author(s) in an edited book is: author(s), year, title of reference (chapter/article), in editor(s), year, title of book, place of publication, first and last pages of reference. Chew, D and Woodman, S (2001) ‘Making Clinical Decision in Neuroscience Nursing, Australasian Journal of Neuroscience Nursing, Vol. 14 , No 4: pp.5-6. Buckland, C (1996) Caring: A Nursing Dilemma.Sydney: WB Saunders. Three or more authors: List all authors the first time the reference is cited. Thereafter cite first author and et al. (Thompson, Skene, Parkinson, and Baker, 2000) thereafter Thompson, et al., 2000). ILLUSTRATIONS: Each figure must be professionally drawn on a separate page. Each table must be double-spaced on a separate page. Figures and tables must be consecutively numbered and have a brief descriptor. Photographs must be of a high quality and suitable for reproduction. Each photograph must be unmounted and be labelled on the back indicating the number of the photograph, with an arrow indicating the top of the illustration. On a separate sheet list photograph numbers with a brief title. Authors are responsible for the cost of colour illustrations. Written permission must be obtained from subjects in identifiable photographs of patients (submit copy with manuscript). If illustrations are used, please reference the source for copyright purposes. Questions, comments or criticisms concerning published papers may be sent to the Editor, who will forward same to authors. Reader’s letters, together with author’s responses, may subsequently be published in the Journal. Statements and opinions expressed in the Australasian Journal of Neuroscience are those of the authors or advertisers and the editors and publisher can disclaim any responsibility for such material. The Australasian Journal of Neuroscience is indexed in the Australasian Medical Index and the Cumulative Index of Nursing and Allied Health Literature.